Pratt Account Manager Angela Jernigan (3rd from left) accepts the Supplier of Excellence Award from Bama Food's Rocky Moore, VP Finance, IT & Sourcing; Paula Marshall, Owner and President; and Mark J. Bendix, President and CEO. Pratt was recently recognized with the Supplier Excellence in Value award by The Bama Companies – the Tulsa-based bakery business which caters to some of the largest and best known restaurant chains in the world. 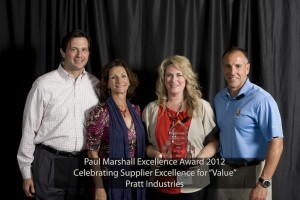 In fact, Pratt was one of just a handful of hundreds of Bama suppliers to receive a Paula Marshall Excellence award at the recent tribute dinner in Tulsa. The Excellence in Value Award is given to the supplier that provides the highest level of innovation & reliability in delivering materials to Bama on time and in full. 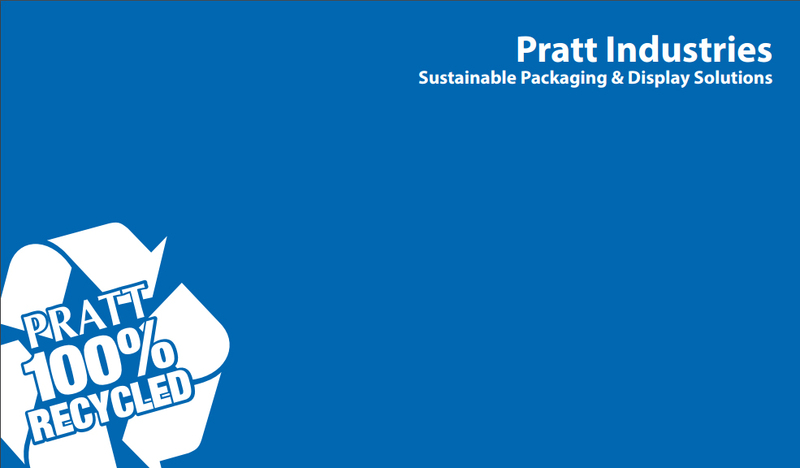 This is the 4th year in succession Pratt has been honored by Bama for its commitment to quality and service.